The Yamaha Pacifica 212VFM, Flamed Maple Caramel Brown features a beautiful flamed maple top, which delivers both sonically and visually. 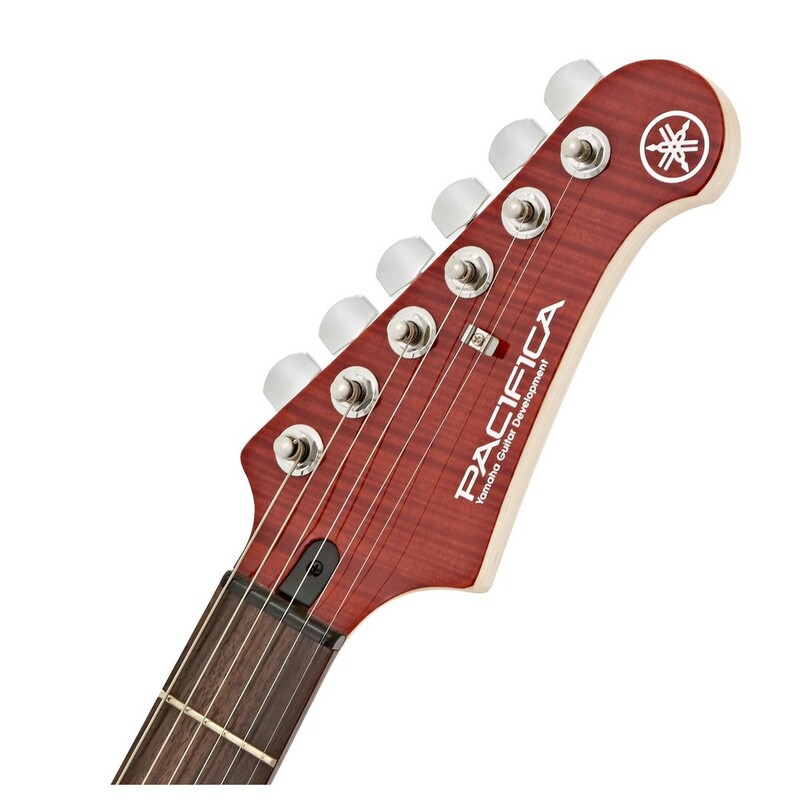 The Pacifica 212V has a smooth, maple neck which offers tight, sizzling tones and allows quick navigation of the fingerboard. 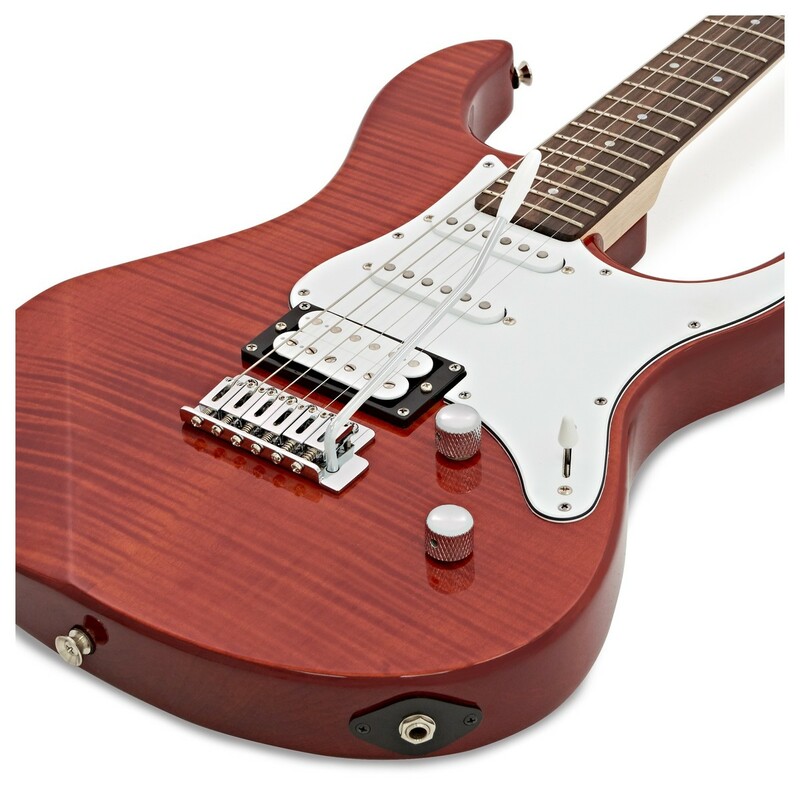 The fingerboard is made from rosewood, for a warm and articulated tone as well as plenty of sweetness. The 212VFM is equipped with a trio of Alnico V pickups in HSS configuration; with the single coils delivering crisp tones and the bridge humbucker producing a thick and full sound. The flame maple top enhances the overall sound with excellent, ringing sustain and the beautiful natural wood grain adds another dimension to the appearance. The Pacifica 212VFM is finished in vintage Caramel Brown and has a contrasting white pickguard for a classic rock appearance. 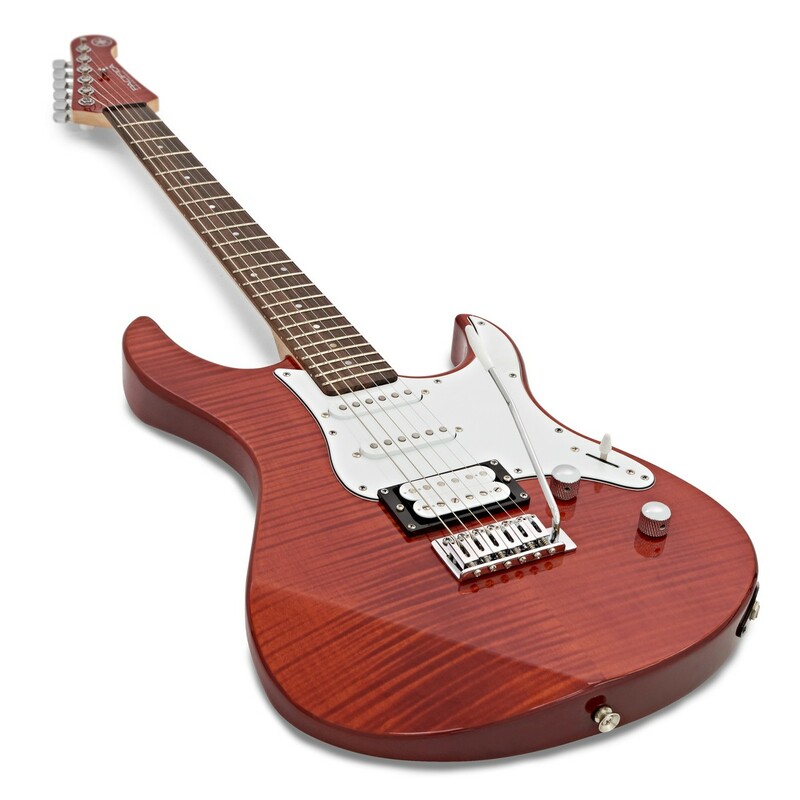 The Pacifica 212V features a flamed maple top, which is both sonically and visually attractive. The flame maple enhances the overall sound with tight, bright tones and crisp cleans. 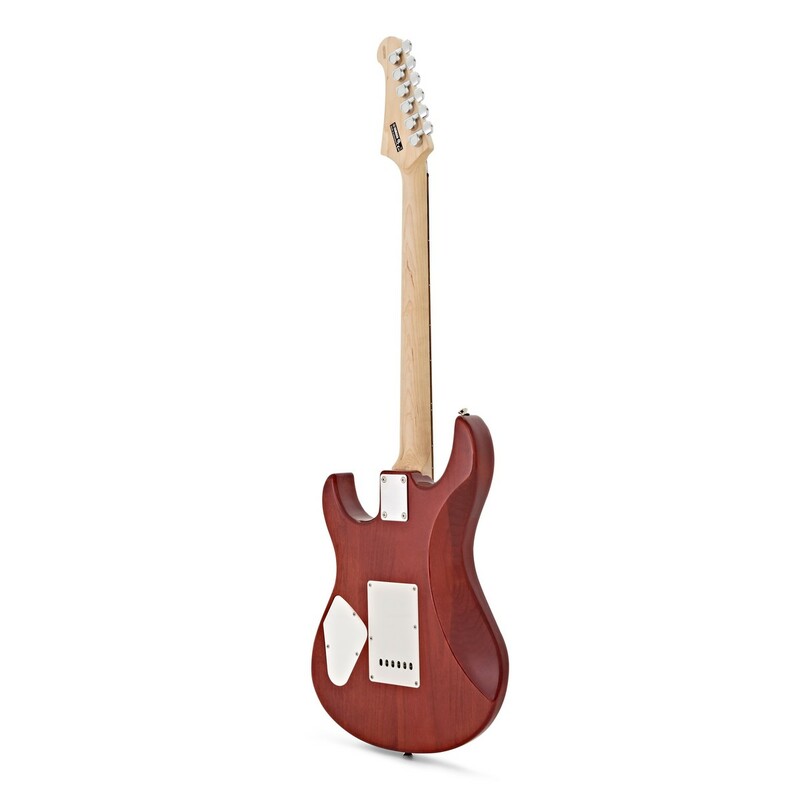 It also adds to the guitar's aesthetics by bringing an extra dimension to the appearance with its beautiful and mesmerising natural wood grain pattern. 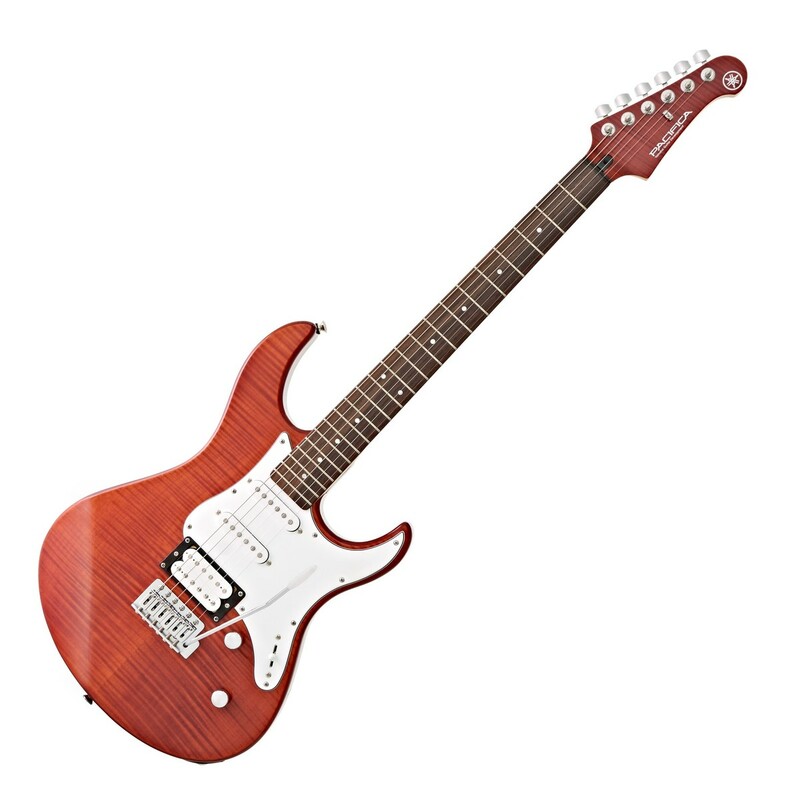 The Yamaha Pacifica 212V is equipped with a trio of Alnico Humbuckers in HSS configuration. All of the pickups offer a superb tone, touch sensitivity and dynamics, and deliver a warm vintage tone that can be used in many different types of music. Alnico typically produces a warm, and gentle tone, that brings excellent harmonics. The bridge humbucker delivers a thick and crunchy sound whilst the single coils in the middle and at the neck produce a bright tone with sharp attack. The Yamaha Pacifica 212V's maple neck provides an incredibly comfortable and smooth feel, as well as producing bright tones with good clarity. The fingerboard is made from rosewood, which adds rich and warm tones to the guitar's sound with plenty of sustain.